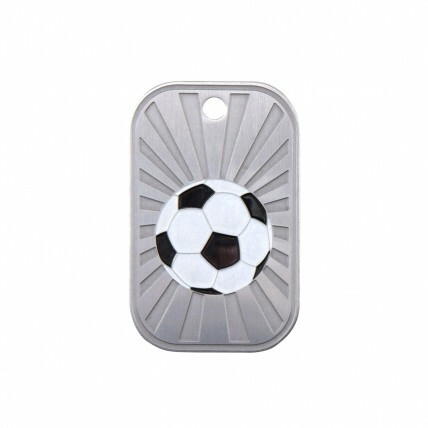 An exceptional dog tag for your heart warming team! 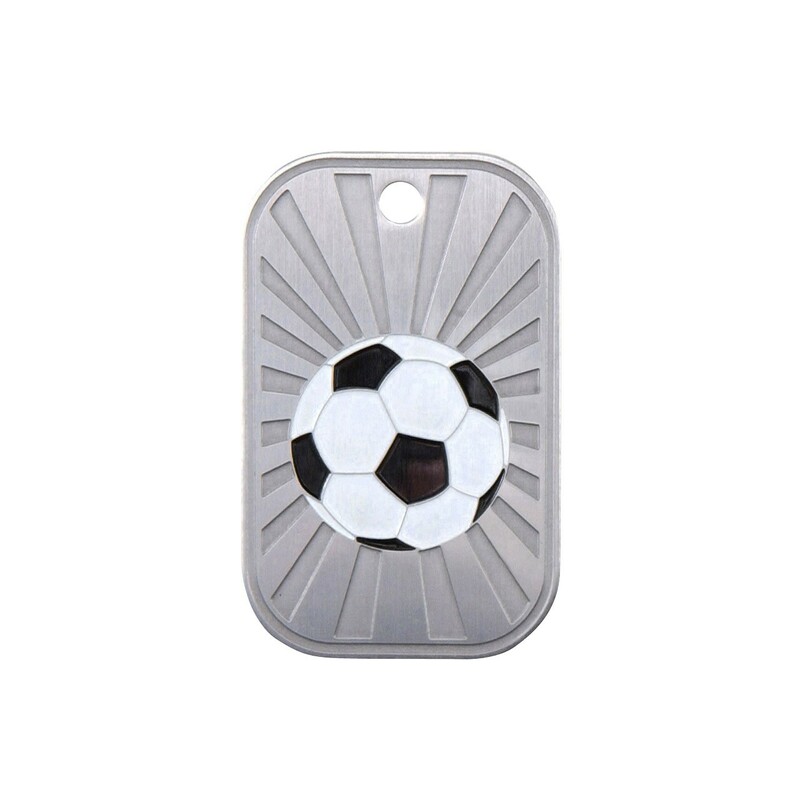 The GI Joe Stainless Soccer Dog Tag is made of high quality stainless steel and features a pressed sunray design behind a colored soccer ball. At 2" long this tag has space for 3 lines of your FREE and personalized engraving! Whether it's used as a personalized ID tag for your elementary student or as a symbol of gratitude for a great season, this quality tag is sure to deliver! A 30 inch beaded neck chain is included.